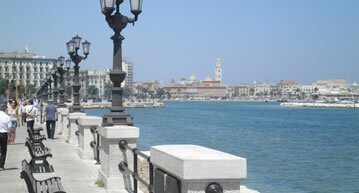 Only 10 minutes away from the B&B , you can't miss a visit to the splendid Old Bari with its art and history treasures such as the Norman Swabian Castle, Saint Nicholas Church, the Cathedral and plenty of hidden gems. 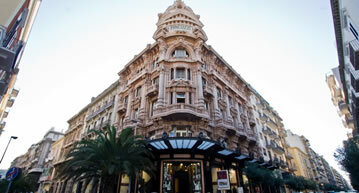 Within easy reach you'll find a wealth of tempting shops , famous brands ,restaurants. 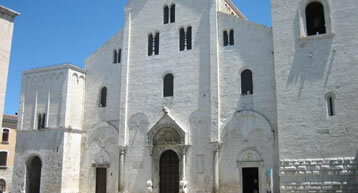 In the heart of Old Bari the first great sanctuary of Apulian-romanesque architecture, where Catholic and Orthodox faiths coexist. Similar to the Basilica in beauty and somptuousness. 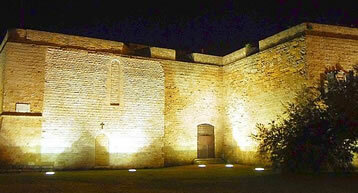 Not to be missed “the Succorpo”, the underground archeological area of the Cathedral. 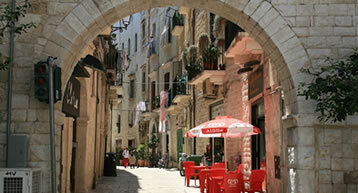 Discover the colourful and lively alleys of the old Bari with their arts and crafts shops, wine bars and “trattorie”. 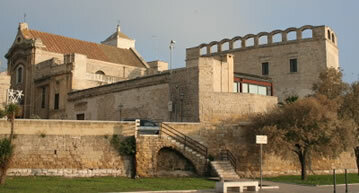 The ancient walls of the old city. 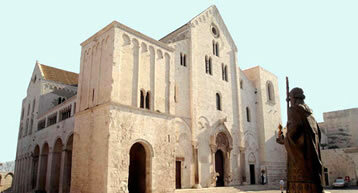 The old Benedictine complex includes the church and the monastery with the archeological museum. The “new “ town built during the reign of Gioacchino Murat, Napoleon's brother-in-law, is rich in beautiful buildings and shops. 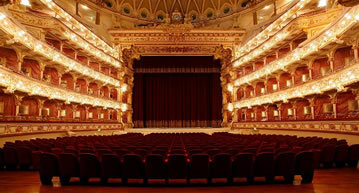 The Petruzzelli is the fourth most important Italian Theatre and the largest private theatre in Europe. 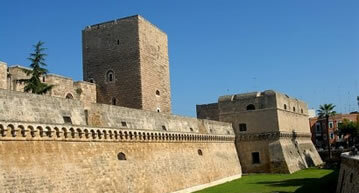 An imposing fortress dating from the XII century, improved and enriched during the following centuries.